Composite frame shaker screen is well used for Swaco and Brandt shale shaker with pre-tension screen installation. 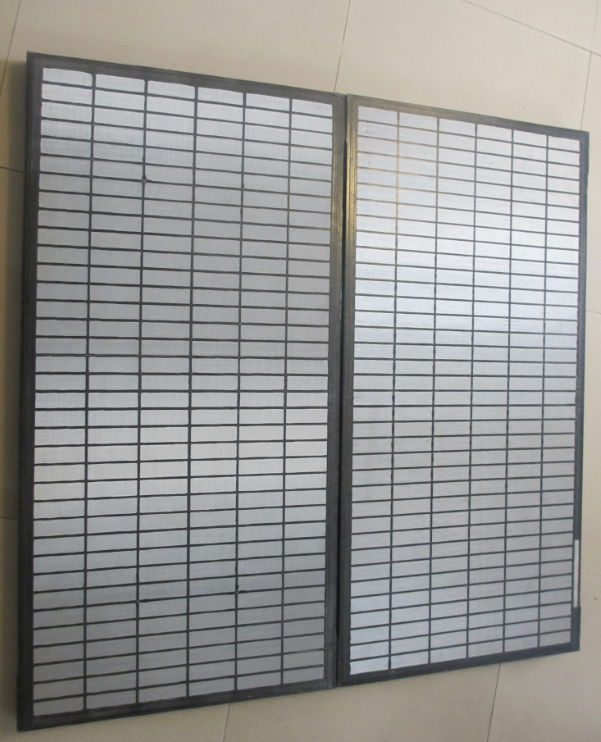 AIPU supply composite frame shaker screen with good quality performance as per API RP 13C compliance test report. 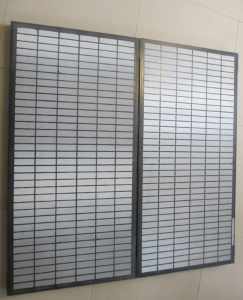 We supply replace screen for Swaco mongoose, Swaco MD-2/3 series, Brandt King Cobra, VSM 300 series, etc. AIPU supplied a lot of screens to drilling site all over the world like India, Dubai, Abu Dhabi, Australia, Nigeria, Algeria, United Kingdom, Poland, etc. Easier manufacturer procedure makes easier quality control for steady shaker screen working performance. Screen manufacture is faster and better than steel frame shaker screen. Screen wire is hot pressed into composite frame makes screen steadily in the frame than steel frame which is earlier loose when mud in hot temperature. So composite frame will help screen wire for longer working life. Stainless steel screen wire SS304 or SS316 depending on screen technical requirement. No rubber pasted on screen to makes less rubber loss problems with well screen seal application. 2 or 3 layers screen wire depending on mesh size, all screen is made as per API RP 13C regulation. Screen repair plug can be supplied together with shaker screen together with screen order. AIPU Solids Control supply professional technical support and good quality screen to all over the world. Please email us for shaker screen or screen repair plug inquiry freely.